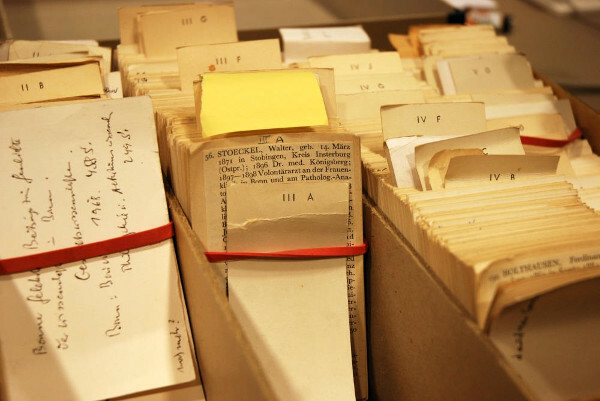 The Kieler Gelehrtenverzeichnis (Kiel Directory of Scholars) is managed by the Regional History Department at the Institute of History, together with the Scientific Computing and Research Data Department at the CAU’s Computing Centre. Kiel Directory of Scholars - Professors from 1919 to 1965 is an online collection of biographical data on all Kiel University professors who taught at the Christian-Albrechts-Universität between 1919 and 1965. In addition, since March 15, 2019, all bibliographic information on the 183 professors between 1665 and 1815 can be conveniently accessed online. Thus, a total of 5,350 person entries are currently recorded in the Kiel Scholar Register, including more than 950 professors who taught at the Fjord over the centuries. *Please note that the data on which this website is based is still being worked on. Additions to persons who have not yet been fully processed are added continuously.